The concierge tells him he's in luck; there's a pizza place that just opened, and they deliver. The concierge gives the businessman the phone number, and he goes back to his room and orders a pizza. 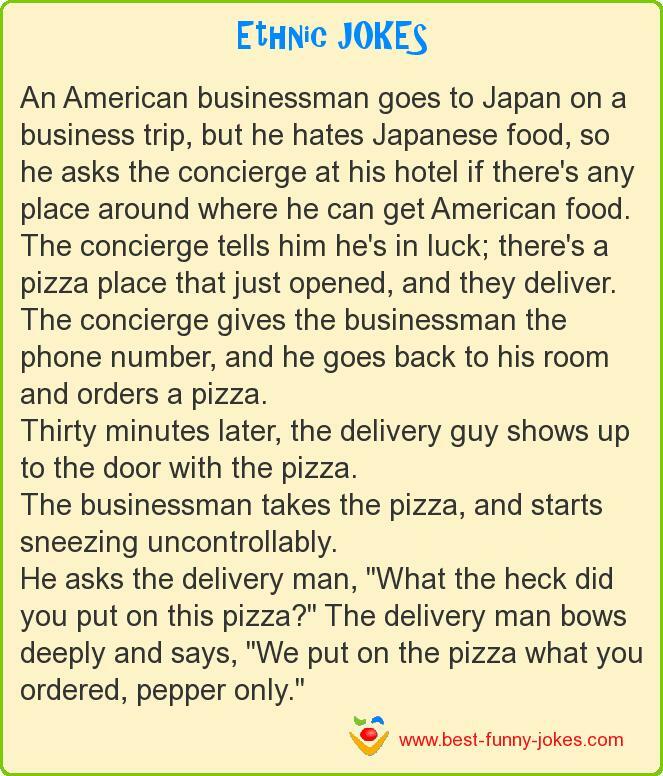 The businessman takes the pizza, and starts sneezing uncontrollably.